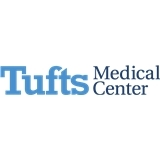 Tufts Medical Center - Dermatology (Boston) - Book Appointment Online! As your body’s biggest organ, your skin deserves expert attention. At Tufts Medical Center’s Department of Dermatology, we deliver excellent clinical care while never losing sight of you, the patient. Our team of dermatologists and skin care physicians is highly skilled in the diagnosis and treatment of a wide range of conditions, including psoriasis and psoriatic arthritis, skin cancer, contact dermatitis and hemangiomas and other congenital birthmarks. My visit was wonderful. Dr. Yang is an excellent provider for all my skin concerns, check ups, and cosmetic procedures. She has a great way with her patients and I have referred many of my friends. It's always professional, courteous and the team is well organized. Always very helpful. A very nice Doctor.